He’s your classic glue guy. He does all of the things that don’t show up in the box score. He’s a smart defender and rebounder who has been coming up big during this year’s NCAA Tournament. He’s been defending much bigger players and making very few mistakes against them. His numbers this year haven’t been impressive but he seemed to have a bigger impact than De’Andre Hunter in all but the championship game. He’s not the best player in the tournament, but he’s definitely been my favorite. Tre Waters helped LSU to a nice run this year, losing to Michigan State in the Sweet 16. His vision and passing ability have been fun to watch but his size may hold him back at the next level. He’d be smart to stay at LSU and hone his craft. His 3.0 steals per game during the regular season was third in the nation. He’s small, but if he continues to improve his defensive ability and distribution skills, he could work himself into the 2nd-round of the NBA Draft. Guy was named the tournament’s Most Outstanding Player after completing an impressive redemption tour that started with a historic loss to #16-seed UMBC in last year’s tournament and concluded with a championship on Monday night. His clutch shooting and impressive defense helped Virginia claw their way to the first championship in school history. Guy averaged an impressive 40.7% from beyond the arc during the last three games. Guy is going to have a hard time adjusting to game at the next level because of his size. He plays fantastic team defense and has good hands but the size and speed of NBA guards might prove too much to handle. He can shoot with little to no space and will have to make his living in a JJ Redick-type role at the next level. If he works on his body, his defense could help him move into the 2nd-round of the NBA Draft come 2020. Edwards is a born scorer. He led the BIG 10 in points per game, scored in the double-digits in every game this season except one, and looks like he could sneak into the 1st round of the draft this summer. He revels in scorching opponents on their own floor (His top three scoring outputs happened on the road). He put up an incredible 42 points on both Villanova and Virginia in the NCAA tournament. He had 9 three-pointers against Nova, and 10 against Virginia. He’s obviously an elite shooter, but his size could be an issue. His quick release will help with his lack of size but only time will tell if he’ll be able to succeed at the next level. Schofield has an intelligence about him that makes it seem like he’s always in the right place for a rebound or put-back dunk. He’s an excellent leader on the court… almost to a fault. He refused to re-enter Tennessee’s last game because he thought his five fouls would be a detriment to his team. Judging by his build, you wouldn’t expect him to shoot as well as he does. He shot 47.4% from beyond the arc during the tournament and he already has an NBA-caliber frame. At 6’6 and 241 lbs, his ability to defend every position is quite impressive. Whomever drafts him, he’s being projected to go in the 2nd round, will be getting someone who can play both sides of the ball and cares about winning above everything. Desert Vista High School alum, Brandon Clarke, led the NCAA in blocks this year. His length and strength allow him to frequently switch onto much bigger opponents, but he will most likely play the 3 or 4 in the association. He’s an incredibly smart rebounder and great defender who has cemented himself as a top-10 pick come June. I’m still not really sure what to make of R.J. Barrett. He led the ACC in points, field goals, and attempts. He also led the ACC in free throw attempts, but he’s only shooting 66.5% from the line. The kid has never seen a shot he didn’t like. He’s a scorer and shooter, but his average points are dependent on the volume that he shoots. His stats are more than impressive, but his turnovers seem high to me. From my time watching him during the tournament, he seems like a black hole. He’s shooting out of double teams and forcing shots, which is unacceptable considering the other talent on the floor for this Duke team. He’s a consensus top-3 pick from all of the top mock drafts, but I think he’s overrated. I hope I’m wrong. Ja Morant has been electric all year. His numbers are impressive, but it’s hard to tell what to expect from him at the next level because his competition wasn’t top-tier. He did put up an incredible triple-double against Marquette. (17 points, 11 rebounds, and 16 assists) He has handles, vision, shooting, and speed. He also led the NCAA in assists this year. He’s shown that he can get to the line (he finished 5th in the country in free throws). He looks like the real deal to me. 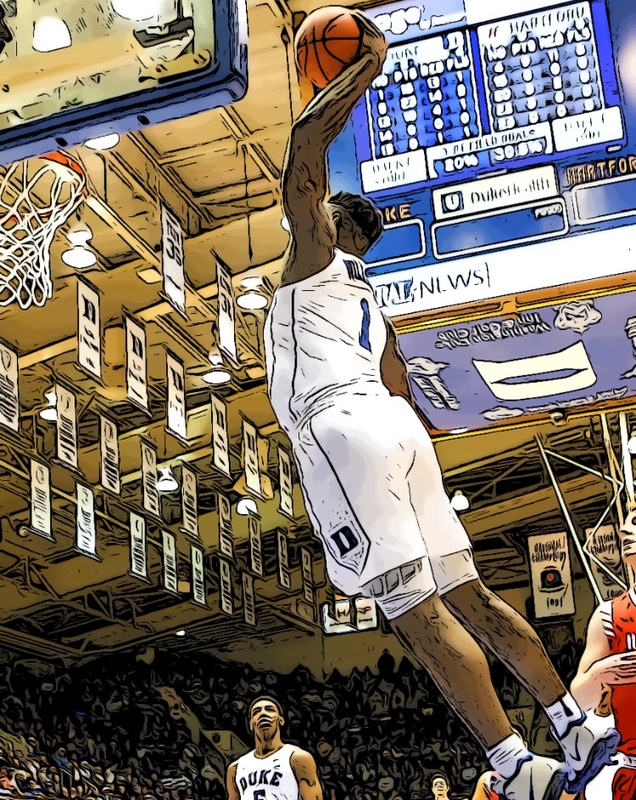 I’m not sure what I can say about Zion Williamson that hasn’t already been said. ESPN has dedicated the network to him over the past few months. He led the country in Player Efficiency Rating (41.6) and Effective Field Goal Percentage (.710). He’s a tenacious rebounder and his athleticism is something you have to see to believe. He has incredible hands, power for days, and he isn’t afraid to take the team on his back. The only thing he’ll have to work on is his abysmal free throw shooting (64%). Any team with the top pick would have to be out of their minds to even consider taking someone else.